See also original VPS M SSD plan location on their website! Equipped with an Intel-CPU and 12 GB of guaranteed RAM, our new VPS M SSD provides enough resources for your daily work. Featuring no traffic limitations and 300 GB of SSD disk space, you can launch your projects immediately. Our new snapshot option allows you to update your software or deploy new programs with no risk at all. Available now: The power of a root server at a very reasonable price. Enter a new world of virtualization with our VPS M SSD at only 8.99 EUR per month. VPS hosting as a cost-efficient solution offers you the best features of both dedicated servers and webspace products: Take advantage of our cheap hosting plans. 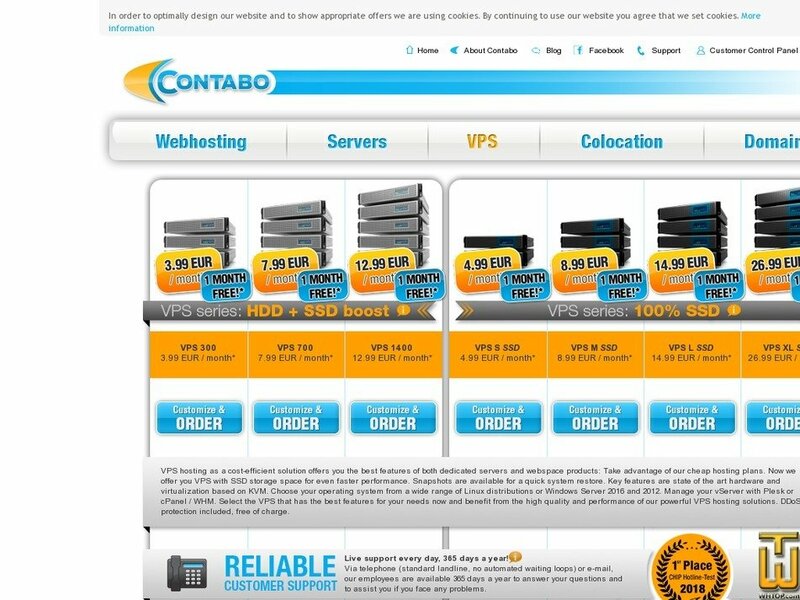 Now we offer you VPS with SSD storage space for even faster performance. Snapshots are available for a quick system restore. Key features are state of the art hardware and virtualization based on KVM. Choose your operating system from a wide range of Linux distributions or Windows Server 2012 and Windows Server 2008. Manage your vServer with Parallels Plesk or cPanel / WHM. Select the VPS that has the best features for your needs now and benefit from the high quality and performance of our powerful VPS hosting solutions. Price: € 5.00/mo. VAT 19% inc.
Price: € 4.19/mo. VAT 19% exc. Our OVZ Basic Edition was designed with one goal in mind: provide the best possible performance at fair costs. Price: € 9.24/mo. VAT 19% exc. Price: € 9.99/mo. VAT exc.